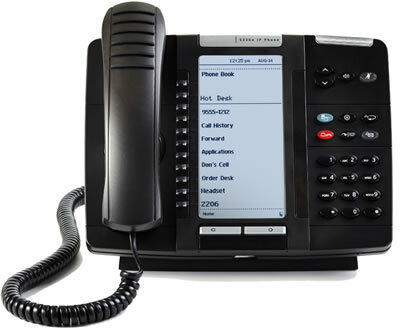 When used with Mitel Unified Communicator Express (UCX) or Mitel MiCollab Client (formerly Unified Communicator Advanced) applications, the 5320e IP Phone becomes a powerful communications tool that helps customers streamline communications between people and organizations. This leads to improved productivity, enhanced customer service, reduced costs, and ultimately improved business process integration. Users can personally program and label the 24 multi-function keys on the phone from the Desktop User Tool, Mitel Live Content Suite, or directly through the Settings interface. Intuitive navigation keys allow users to easily move between multiple screens. Every Mitel MiVoice 5320e IP phone from Telephone Magic comes with a full 1-year warranty.